I honestly cannot believe we're less than a month away from Christmas. I'll spare you from the cliché comments like "where has the year gone", "time has flown by", etc, etc. Instead, today I wanted to share a little bit about the lovely day I had with the husband in central London this past weekend. I honestly cannot remember the last time we had gone into London for the weekend (we've clearly become far too lazy after we got married) but determined to make Christmas last as long as possible, I proposed and planned a day to see the sights, enjoy some of the Christmas spirit the city already has to offer and have a great meal out. I can anticipate that all things were successfully accomplished and if you want to see what our day looked like, then keep on reading! 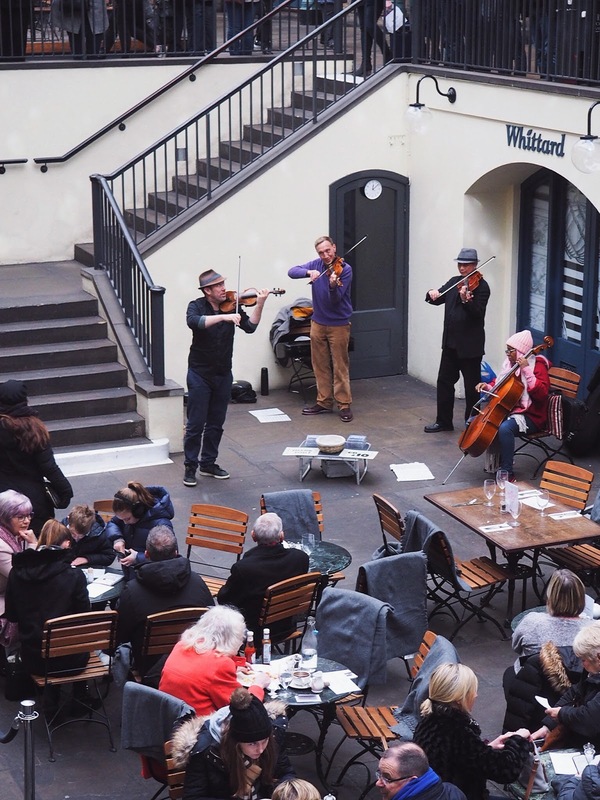 One of our favourite places to go to on weekends had always been Covent Garden. 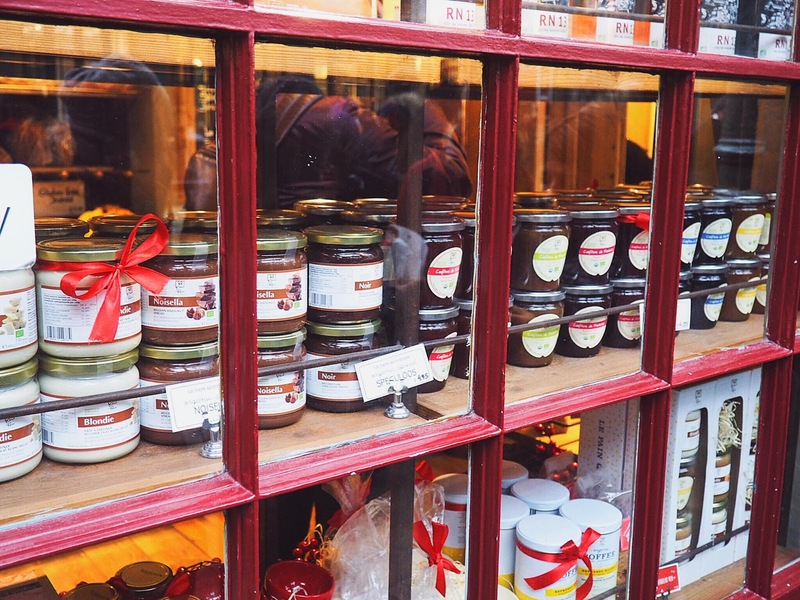 It is London's West End must-see destination for those who enjoy shopping (me! ), theatre (me! ), restaurants (foooood! ), bars (more food! ), history and culture. Given we live just on the outskirts of London, the journey is extremely easy. But if you're coming from a little further away, checking some hotels in Covent Garden is a good idea as the trip could easily turn into a weekend away. Our day started off at Leicester Square where I wanted to check out some of Chrismas markets. I'm not sure if it was a bit too early in the day or season, but we didn't find anything particularly exciting, especially after so many had suggested we check this out when I asked for tips on what to see on Instagram. 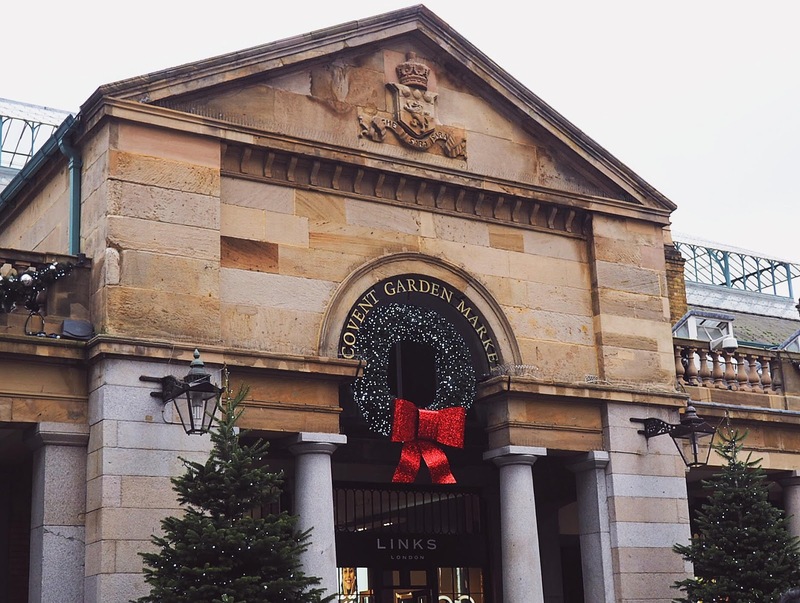 Thankfully, Covent Garden was just a few minutes walk away and that's where we were headed to soak up on all things Chrismas, as I knew it wouldn't disappoint. It seems every season Covent Garden does something a little special but this year, I think their Christmas displays are some of the best I've seen; from the huge tree at the Piazza to the silver reindeer, I felt like a kid excitedly waiting in line to take a photo with Santa, except I wanted photos from every single angle and corners of the place. The Instagram blogger inside of me was very happy, my husband...not so much. Whilst there, we did a little shopping for our upcoming December trip as the area boasts some unusual shops, which makes a nice change from the typical high street shops. We also wandered around the stalls at the market, selling different handcrafted items and it brought us back lovely memories of when we used to come here to admire their artwork before we got married (and it reminded us that we really need to do this more often). Another must when in Covent Garden is also listening and watching street entertainers in the Christmas decorated old building; we particularly loved the talented young musicians and singers performing near the Crusty Pipe. 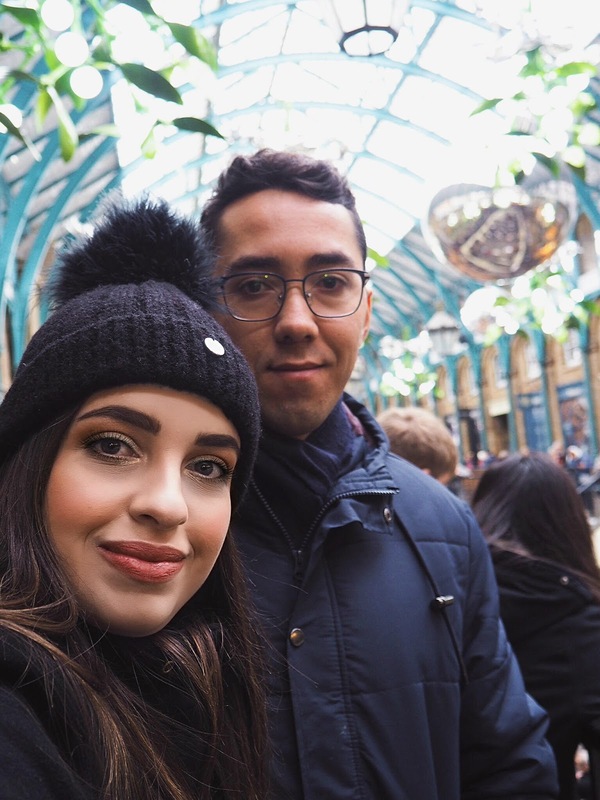 Before we headed off to Winter Wonderland to finish off our very Christmassy day with churros (because churros are simply the best things in the world), we decided to grab lunch right at the heart of Covent Garden. Miami-born restaurant Buns & Buns recently arrived in the area and it seemed like the perfect opportunity to try something new. 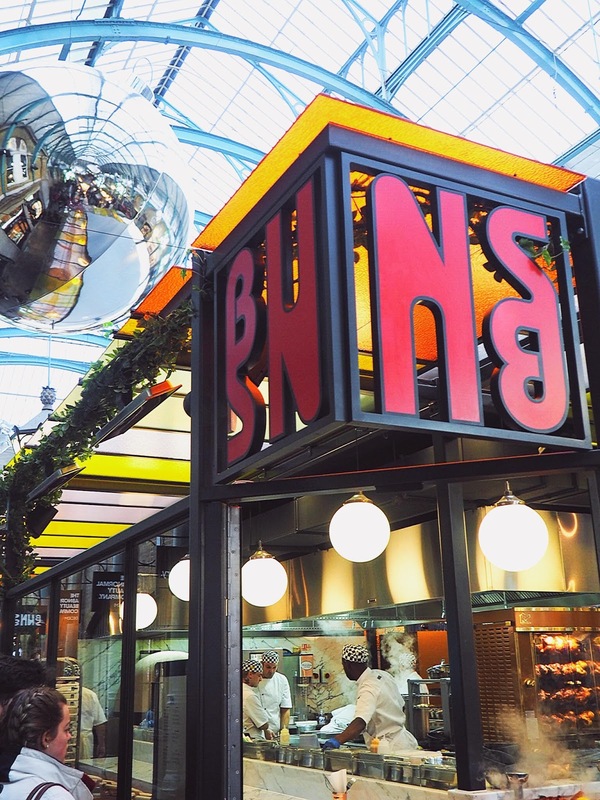 Situated in the North Hall, Buns & Buns brings together under one roof endless varieties of bread from across the globe (hello carb loaded weekend!). 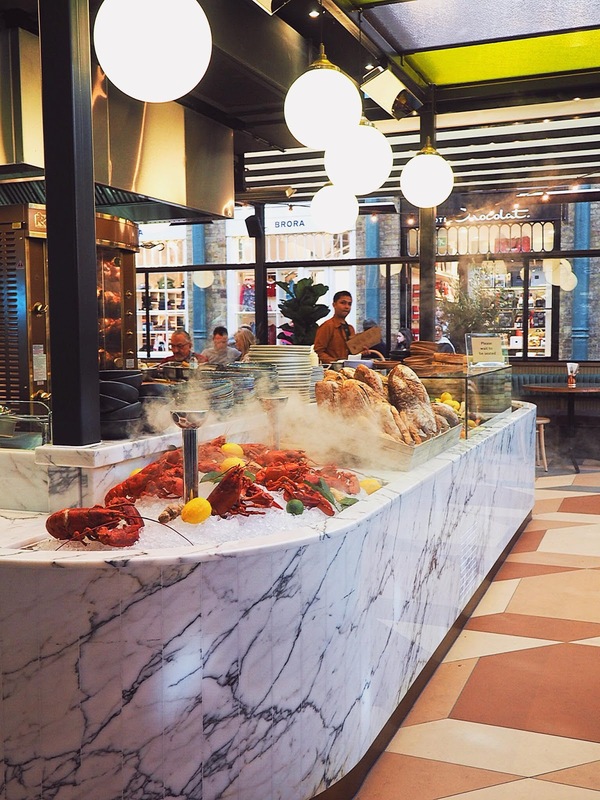 From pala Romana pizza to Taiwanese baos and brioche lobster rolls, the place is also totally Instagrammable for being decorated in warm, earthy tones with copper accents! 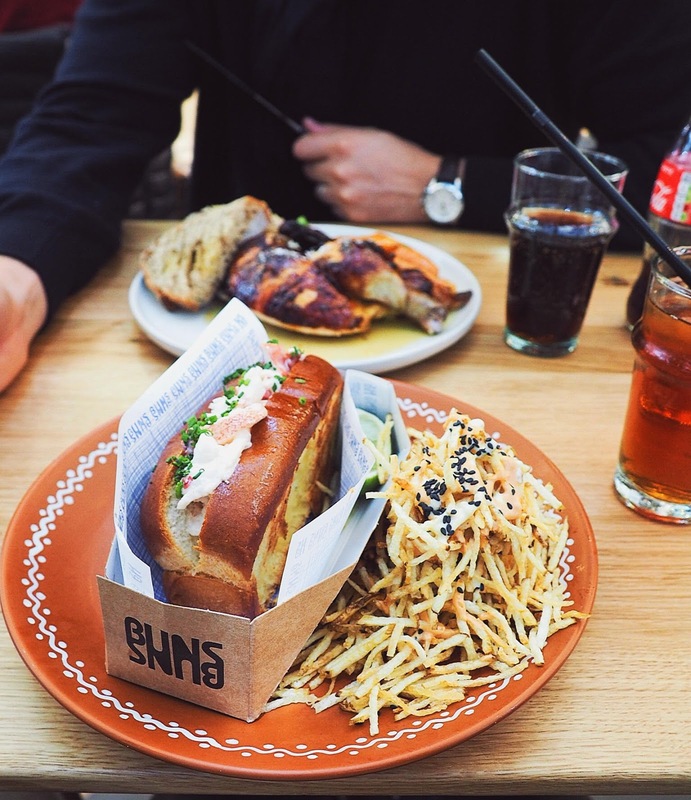 I, lover of lobster, went for the brioche lobster roll, of course, served with crispy potato sticks, whilst the husband opted for the marinated chicken in yoghurt and lime juice served with sourdough bread and vegetables. For sides, we couldn't contain our excitement when we spotted pão de queijo in the menu, which is basically Brazilian bread loaded with melted cheese aka little pieces of cheesy goodness (not pictured because needless to say they didn't last very long). All our dishes were flavoursome and beautifully served. The service was great despite the place being a little busy, which is understandable as it is currently the "it" place to try in the area, and whilst food is a little on the pricey side we really enjoyed our meal and the ambience. All in all, as you can see from the photos, we truly enjoyed our day out at Covent Garden and I hope to have a repeat soon. London has so much to offer, especially at this time of year, it would be a pity for you to miss any of this. If you're a massive Christmas fan like myself, then head down to the West End asap! 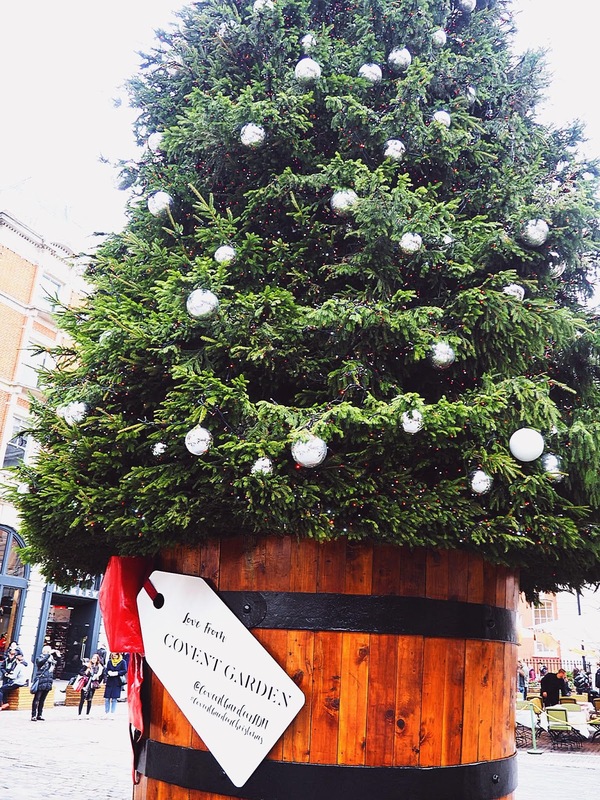 Tell me, have you been to Covent Garden this season yet? If you have suggestions on what I should definitely see please do let me know in the comments below. Thanks for reading beauties and enjoy the week ahead! I love Covent Garden! It's one of my fave places to go! I can't believe I haven't been yet. Defo need to pay it a visit. Love that you and the hubby had a great time. I love covent garden at this time of year! 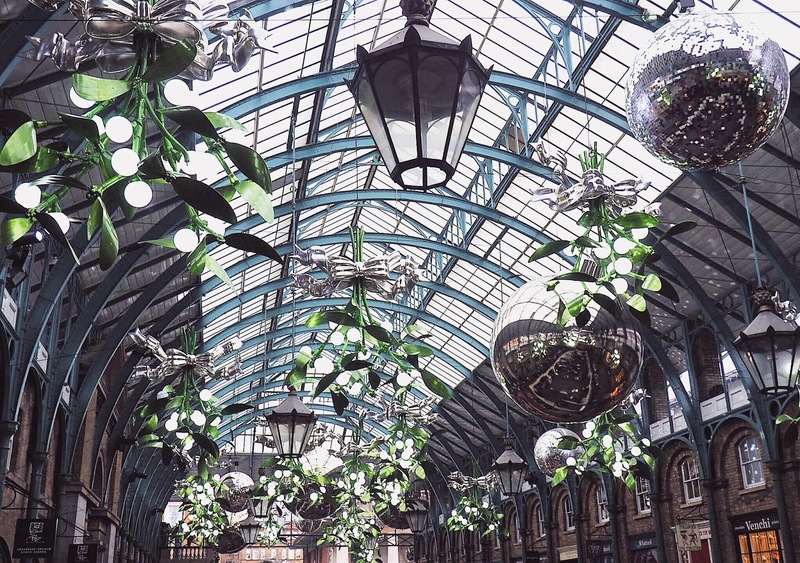 I really love covent garden, So happy to see these beautiful Christmas decorations, you look so pretty. IT LOOKS SO INTERESTING BUT I HAVE NOT BEEN THERE. Looks like you enjoyed your weekend. 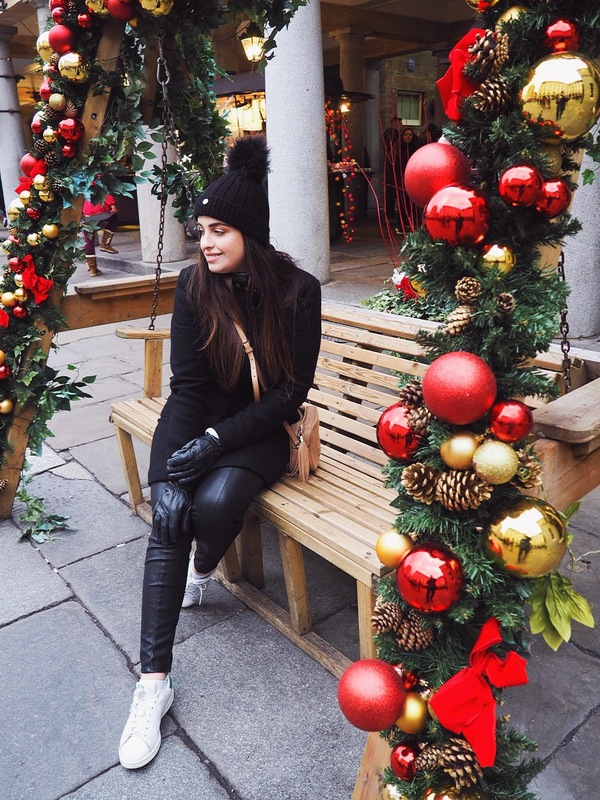 Loved Christmas vibes, and you look amazing in this all black outfit. I can only imagine the vibe of the place through your pictures and words! Looks like a lovely place to visit and shop. This is amazing! Over delivery as always. Stoked to check this out. Btw, I'm your number one follower. Keep up the good work! I skimmed through it and love the Christmas vibe! May I ask where do you get your outfit inspiration? I definitely need to follow those same people. I feel like crying because again I had to leave the UK right before the Christmas season started. And we all know how pretty London looks during the Holidays *sobs*, hopefully next year I'll be there by that time and I'll check all these fun activities! Your day looks so fun and festive!! Thanks for sharing! Strong Christmas breath, I hope Christmas will come soon. 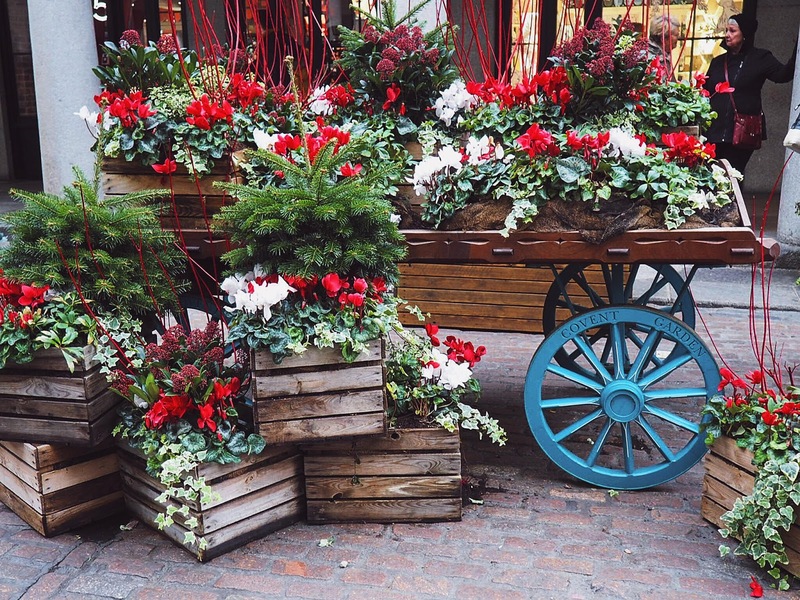 I really like visiting Covent Garden at Christmas, great pictures! 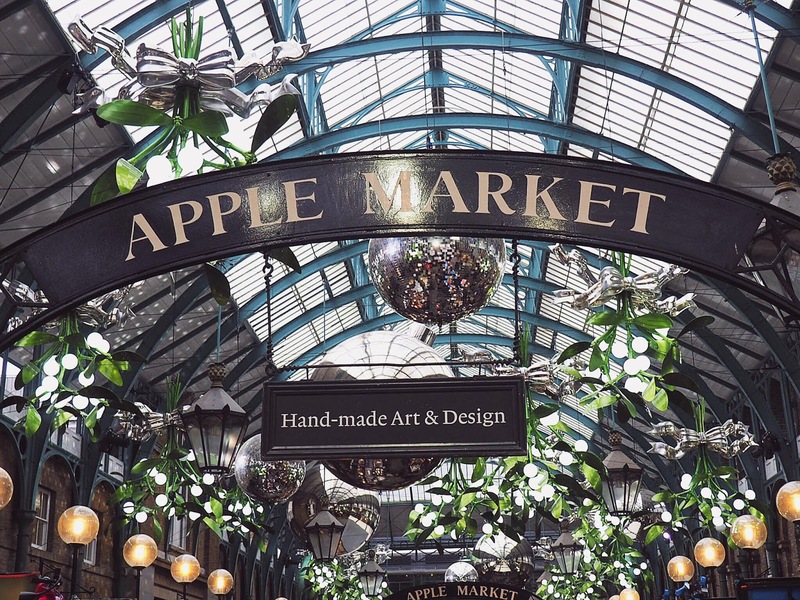 If I ever visit London I will definitely check out Covent Garden, it looks beautiful! I love Covent Garden at Christmas time. What a lovely weekend...and now I want that brioche lobster roll with those shoestring friends (drool)! Beautiful photos! I wish I could spend Christmas in London. It looks so fun. lovely post and nice pictured. I like everything in the casino, the roulette is excellent, I am glad that during the game you can also talk to people who also play at the same table! Muzychka great. With the conclusion there were no difficulties at all. Easily raised from $ 30 to $ 600, withdraw. Played, played, will play!